The David L. Boren Awards, which include undergraduate Scholarships and graduate Fellowships, focus on regions, languages, and fields of study deemed critical to U.S. national security. Boren Fellows , students applying to or enrolled in graduate school, can receive up to $30,000. A number of regions and languages are given preference. Applications focusing on Arabic, Chinese, Korean, and Persian are among the languages given preference. The Boren Awards also come with a post-service requirement. Recipients agree to work for the federal government in the national security arena. Federal jobs are guaranteed after completion of service, and a job offer must be secured on your own. NSLI-Y does not have a language requirement to apply, but participants must complete an Oral Proficiency Interview upon completion. Scholarships are available to study Arabic in Jordan or Morocco for the summer, or in Morocco during the academic year. To apply for CLS program, you are required to have studied Arabic for at least one year. Scholarships are available to study in Morocco, Jordan, or Oman. 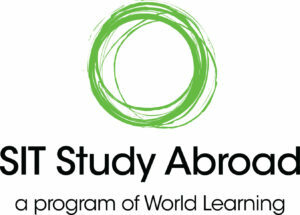 The School of International Training (SIT) Study Abroad programs offer language study at intermediate and advanced levels. Other programs offer beginning instruction in a less commonly taught language spoken by the local community. Students experience language immersion through homestays and interactions with community members. You can browse Arabic language programs by selecting Arabic in the section labeled "Languages In North Africa and the Middle East."